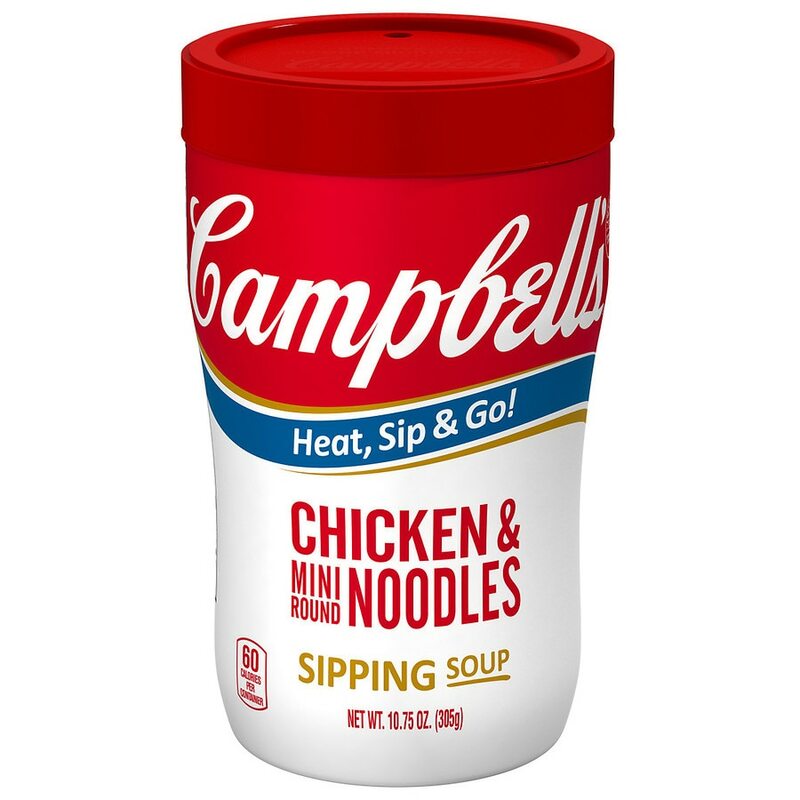 Redefine snacktime with Campbell's® Soup on the Go Chicken & Mini Round Noodles Soup. Soul-warming flavors of premium chicken broth, carrots, enriched noodles and chicken meat are loaded into convenient heat-and-go cups. What's even better? It's equipped with a snap-on sipping lip¿no utensils needed. Satisfaction guaranteed. If you have questions or comments, please call 1-800-257-8443. Please have code and date information from container. Microwave directions: Shake cup before opening. Microwave ovens vary. Time given is approximate. Uneven microwave heating may cause popping, movement of the cup and/or splattering. Note: after tasting, if you like warmer soup, remove cap and heat an additional 15 sec. Promptly refrigerate unused soup in separate container. Do not reuse or reheat cup. Metal edges are sharp. Cup and soup are HOT after heating.